While the first few months of the 116th Congress were dominated by the difficult negotiations surrounding overdue budget appropriations needed to end the longest federal government shutdown to date, members did introduce several important pieces of tax legislation aimed at improving college affordability, incentivizing charitable giving, and undoing some of the most damaging provisions of the Tax Cuts and Jobs Act of 2017 (TCJA). In the coming months, the higher education community will be watching closely to see how these bills progress and advocating to lawmakers on the need for sensible legislation that will enable colleges and universities to best fulfill their public-service missions. A primary concern of colleges and universities, and all nonprofit organizations following passage of the TCJA, has been its potential impact on charitable giving. Due to the doubling of the standard deduction, millions of taxpayers who previously had itemized their tax returns will no longer do so, in effect abolishing the charitable deduction tax incentive that drives significant giving to nonprofit organizations. In fact, the congressional Joint Committee on Taxation has estimated that 28.5 million fewer taxpayers will itemize their returns this year than did prior to passage of the TCJA. In an attempt to mitigate this hit to giving, several pieces of legislation have been introduced that would create an above-the-line charitable deduction available to all taxpayers, regardless of whether they itemize their tax returns or take the standard deduction. The first bill, the Charitable Giving Tax Deduction Act, is bipartisan and was introduced by Reps. Chris Smith (R-NJ) and Henry Cuellar (D-TX). These legislators also introduced a similar bill in the last session of Congress and have indicated their strong, ongoing support for creating an above-the-line charitable giving tax deduction. The second charitable giving bill also features the creation of an above-the-line charitable giving tax deduction, but is of particular distinction because it was introduced by Rep. Danny Davis (D-IL), who holds a seat on the tax-writing House Committee on Ways and Means. Rep. Davis’ bill, H.R. 1260, would similarly extend the charitable deduction to all taxpayers, regardless of whether they itemize deductions, as a way to encourage and increase charitable giving. One of the hardest hitting provisions of the TCJA for colleges and universities has been the new requirement that nonprofit employers must now treat expenditures on parking and transportation benefits provided to their employees as an unrelated business income expense and pay tax on these expenditures at the new corporate tax rate. This provision represents an unprecedented tax, not on earned income, but on a business expense that is incurred in the course of being a good employer. 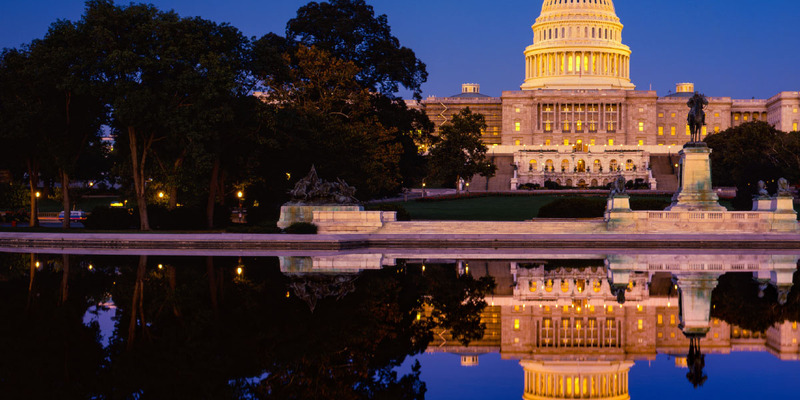 Members of both parties made several attempts in the previous Congress to repeal this particular provision, and again in the 116th Congress NACUBO has seen support for similar efforts. House Majority Whip James Clyburn (D-SC) has introduced a bill, H.R. 1223, which proposes repealing this new unrelated business income tax. Unfortunately, the bill does not yet have, and may not be able to secure, bipartisan support given its proposed method of paying for the repeal of the tax. Rep. Clyburn’s legislation proposes offsetting the cost of eliminating the UBIT tax by raising the corporate tax rate by 0.03 percent. For many Republican lawmakers, the idea of raising the corporate rate after working so hard to lower it with passage of the TCJA is a nonstarter and makes Rep. Clyburn’s bill impossible to support. Even so, there is still generally bipartisan support for repeal of the tax among legislators, and college and university advocates are actively working to identify other lawmakers who may be willing to introduce similar legislation with a less controversial cost offset. Since its passage in 1978, Section 127 of the tax code has allowed employers to offer each employee up to $5,250 annually in tuition assistance without requiring that it be included in the employee’s taxable income. Reps. Scott Peters (D-CA) and Rodney Davis (R-IL) have introduced bipartisan legislation, the Employer Participation in Repayment Act of 2019, which would expand Section 127 by permitting employers to direct this annual benefit to repayment of an employee’s student loans in addition to tuition reimbursement. This bill is identical to one the congressmen introduced in the previous Congress, and a companion bill has been introduced in the Senate by Sens. Mark Warner (D-VA) and John Thune (R-SD). Both bills have extensive bipartisan support in the House and the Senate. Additionally, many major corporations have highlighted such an expansion as being both welcome and valuable to their efforts in recruiting and retaining top talent. In the previous Congress, Rep. Jason Smith (R-MO) introduced legislation that would further expand Section 127 by raising the amount allowable under the provision to $11,500. The $5,250 amount currently allowed under Section 127 has been the same since the provision’s passage more than 30 years ago, even though it was originally intended to allow employers to cover most or all of their employees’ tuition costs. Because the allowed amount was not set to be adjusted for inflation, it has not kept pace with the rise of college and university expenses in recent decades. Such an expansion is needed for the provision to keep pace with current college pricing trends. While Rep. Smith has not yet reintroduced this legislation in the 116th Congress, he has committed to doing so, and college and university advocates are in the process of identifying similar champions of the legislation in the Senate. NACUBO is also anticipating further legislation on both the executive compensation excise tax and potentially in the area of tax-exempt bonds. Many college and university advocates, including those at NACUBO, will likely be devoting much time during this Congress to legislative issues such as the Higher Education Act reauthorization, changes to the handling of campus sexual assault, updates to the Deferred Action for Childhood Arrivals program, and other core higher education issues. NACUBO will continue to be a leading advocate in areas of higher education tax policy. Fair, well-reasoned tax legislation is key to the financial viability and stability of colleges and universities and their ability to best serve their students and surrounding communities. Fair, well-reasoned tax legislation is key to the financial viability and stability of colleges and universities and their ability to best serve their students and surrounding communities.